When it comes to in-floor heating, you might think floor heat and carpet don’t mix. After all, how can you properly install and seam carpet when it’s directly on top of electric cable? And how can you be sure the heating element won’t melt the carpeting? 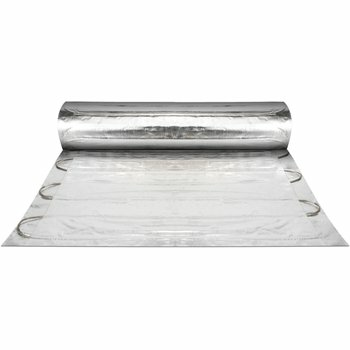 WarmlyYours Environ™ floor-heating rolls and mats feature an electric heating element that’s sandwiched between two layers of aluminum foil laminate. This provides a platform to distribute heat evenly, and — what’s especially important for carpeting — it protects the flooring from exceeding its heat limit and does not ruck when carpet is pulled and stretched over it. 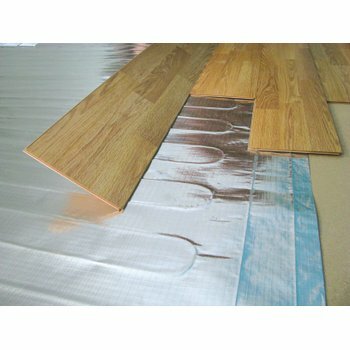 Believe it or not, it is incredibly easy to install a WarmlyYours Environ™ floor-heating system under carpet. Just follow these 7 steps. 1. Test the heating element. Use a digital ohmmeter to test the heating element to make sure it is in working order before you begin installation. Set to the 20k range, the ohmmeter should measure between 8k and 12k ohm for temperatures between 68 and 86 degrees Fahrenheit. Prepare your subfloor just as you normally would for a carpet installation. Make sure it is structurally sound, secure and clean of debris. Now is a good time to check for any floor creaks. If you find any creaking or movement in the subfloor, screw or nail down the areas to secure them. 3. Install the carpet pad. Fit the carpet pad to the layout of the room. The carpet padding should have a density of at least 6 pounds per cubic foot. Most good quality pads are 8 pounds per cubic foot or more. 4. Install the heating element. Roll out the Environ™ heating element and place it on top of the carpet pad in the position shown in your SmartPlan custom installation plan (provided by a WarmlyYours sales associate). Make sure the heating element is at least 1 foot away from all edges of the room to prevent the spikes of the power stretcher from damaging the heating system when the carpet is being installed. Additionally, determine a safe route for your power supply cables. You’ll want to make sure they can reach the desired thermostat location without crossing over or under the heating element. Adhere the heating element to the carpet pad with adhesive tape. Note: You may need to carve out a ¼-inch channel in the carpet padding where you want the power supply cables to run in order to prevent the cables from forming lumps in the carpet above. Roll the carpet over the heating element. When seaming the carpet together, use cardboard or plywood to prevent direct contact between the hot iron and the heating element. 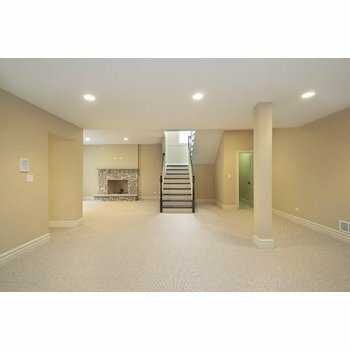 Stretching the carpet can be done as usual because the heating element ends at least 1 foot from the wall. 6. Test the heating element again. Test the heating element using a digital ohmmeter to ensure the reading is the same as it was when you first tested it. If the heating element is still in good working order, it’s time to connect it to an nSpiration Series thermostat. These thermostats come with a built-in GFCI (ground fault circuit interrupter) for safety. If the heating element is damaged, the GFCI will trip, immediately shutting off the unit. A licensed electrician should connect the sensor wire (if applicable) and power supply wires to the back of the thermostat, and connect the thermostat to the supply. For full installation instructions, please reference the Environ II Floor Heating System Installation Manual. 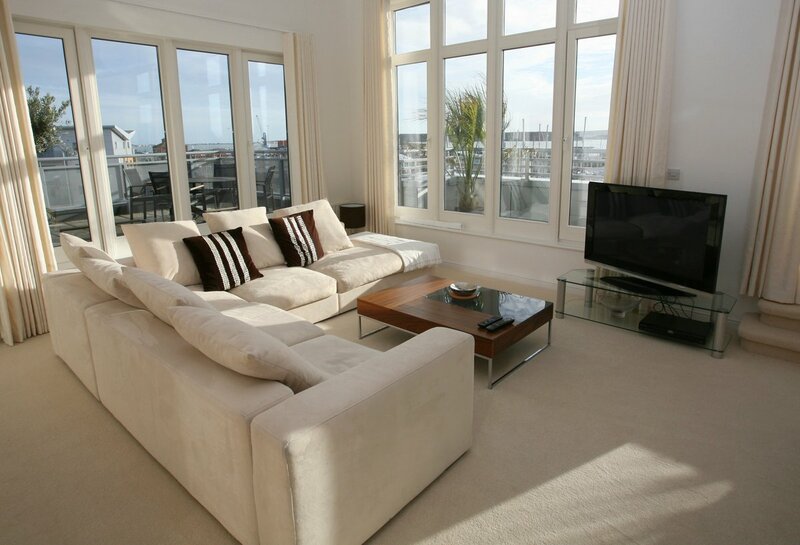 WarmlyYours technical experts are also available 24/7 to answer any installation questions you may have. Just give them a call at 800-875-5285. Note: Environ™ floor-heating systems are only approved for use under carpet in the United States.